In an interview with VOA Hausa Service in Washington DC, PDP presidential candidate, Atiku Abubakar said stories that he was banned from the United States was ‘misinformation’. Interview conducted by VOA’s Aliyu Mustapha Sokoto. VOA: What has been in the news for many years has come to past right now I’m together with the former Vice President of Nigeria and the Presidential flag bearer of the Peoples Democratic Party (PDP) after he had just returned from some interactive session with some high ranking Congress Men and Women. Your excellency, now that you have visited Washington D.C, does it have to do with those who said you cannot come to the United State of America or the visit is for what purpose? 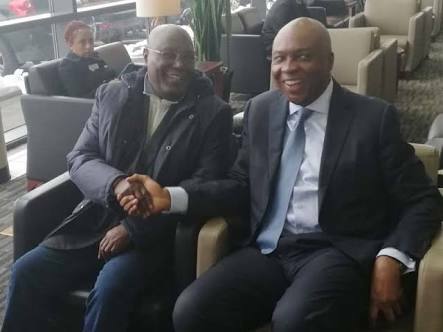 Atiku: Aliyu I told you before that my coming to the United State is in the hands of Americans if they decided to issue a Visa to me I will definitely come and if they refused to give me I cannot come. And now they have issued it to me and I am here. I’m having some positive discussions with some of the officials. I was in the Congress and I had discussions with some high ranking Congress men and women about Nigeria and how Nigeria intends to improve her relationship with the United States of America. VOA: After visiting the Congress, do you intend to meet with some other people? Atiku: Yes, by tomorrow (Friday) I will go to the State Department in order to have vital discussions with some of their officials. VOA: Will you also meet with the members of the United States Chamber of Commerce? Atiku: Yes, I will meet them tomorrow (Friday) by the Grace of God. VOA: Who invited you to the United State? Atiku: I was invited by many organizations in United States. VOA: Before some people are saying that you cannot come to the United States of America but now you are here people will stop doubting. VOA: What do you mean by misinformation? Atiku: Because for a very long time they have been lying to them (Nigerians) and they agreed; I tried to explain to them but they refused to listen. And I hope now people are going to understand. VOA: Your coming to America has shown that you are going to have some interactions with some top officials of the United State are they in support of your candidacy? VOA: Are you convinced that the United States Government are in support of your candidacy? 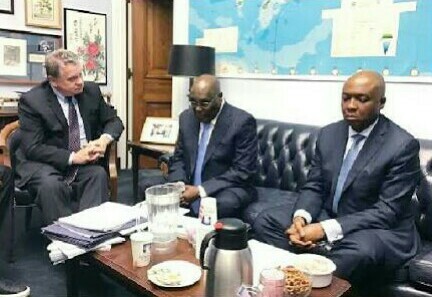 Atiku: There is no doubt because the United State is ready to support any country that is practicing democracy. VOA: People know you as a businessman; do you think that your business background and experience will influence the United States Government to support you? Atiku: One good thing is that Nigeria is a country that is practicing democracy and everyone knows that we have played a significant role and have done a lot to sustain democratic governance in Nigeria and it is very important.